Laina Tiainen Marjanen was born April, 24, 1926 in Kinnula, Finland. She was united in marriage to Pekka Tapani Marjanen on September 30, 1950 in Jyvaskyla, Finland. They were blessed with 68 years together. Pekka and Laina had five children; Juha Tapani, Tarja Helena, Heini Kaarina, Riitta Liisa and Jari Pekka. They spent the early years of their life in Finland, before moving to the United States. They lived in Massachusetts, New Hampshire, New York, Minnesota and Arizona. Laina was a wife and mother, grandmother and great-grandmother. She enjoyed taking care of her home and her children. 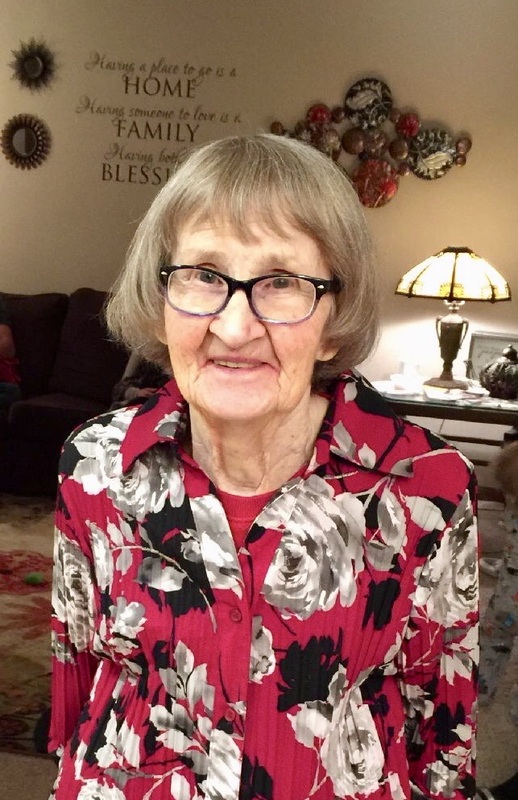 She enjoyed sewing, singing hymns of Zion, playing the organ, taking family road trips, going to the lake with the children, cross country skiing, sledding, skating and serving guests in her home. Many of her grandchildren have fond memories of mummu teaching them how to sew or play the organ. She was loved by many and will be missed dearly. She is survived by her husband Pekka; Chldren-Juha (Annette) Marjanen, Tarja (Joe) Brown, Heini Aho, Riitta Wuollet & Jari (Anita) Marjanen; 42 grandchildren and 118 great-grandchildren.